dangers of drug and alcohol use and addiction. Hope House runs Schools Programmes in schools in Cape Town. Our Prevention Programme educate early teens in how to avoid the temptations of drugs and our Community Based Treatment program supports youth who have started experimenting with drugs. Instead of correcting children after they get it wrong, we prefer to coach them in the moment when they can still make good choices in life. Hope House runs an 8-week Prevention Programme learners from Grade 1 to 11 in order to reach them while they are still open to education and before they are faced with daily temptation. 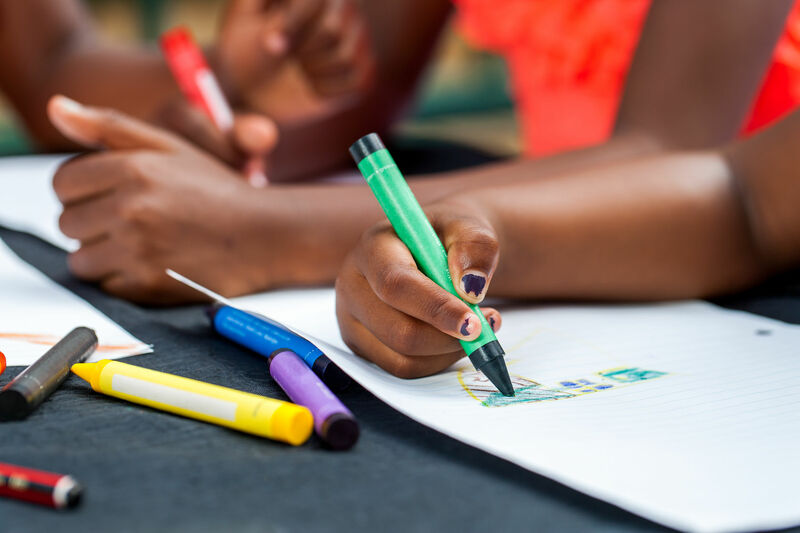 Our programme teaches values such as honesty, trustworthiness, responsibility and encourages the children to make good choices, set goals and learn to manage their anger. Building self esteem is also an essential part of the course. Hope House runs a Community Based Treatment Programme with selected youth who seem vulnerable or have already dabbled in drugs. Small groups of children are counselled and educated in a group setting for 12 weeks. In this time we educate these young people about the dangers of drugs, speak about deep hurts and show them wise alternatives. We help learners understand the reality of drugs and alcohol. We do this by educating them on both the short- and long-term effects on their brains and implications for their future. While many of the learners who attend the course have already experimented with substance use, we intervene and teach them tools to withstand the pressures that they face as well as making them aware of the dangers of continued use. This powerful, one-of-a-kind course workshop on the whole family and is a major force for changing our nation. The course uses role plays, games and communication exercises to encourage stability and awareness of roles in the family. Strengthening Families is a programme that is designed to reduce environmental risk factors and to boost personal resilience to drug use in high-risk youth. Research has shown that the programme also lowers the chances of mental disorders, aggression, juvenile delinquency, school failure, teenage pregnancy, and HIV/AIDS in youth. The course also drops rates of child abuse and neglect, by increasing parent’s love and empathy for their children. The course breaks the family into three groups for skills training: parents, children and family. and also looks at educator self-care. Too much love never spoils children. Children become spoiled when we substitute presents for presence. I’m not what happened to me. I’m what I choose to become.